Investing in tangible assets is not only ideal in the current economic climate, but also essential in safeguarding your financial future. With inflation threatening currency values and purchasing power fluctuations affecting economic growth, diversifying your assets is the trick to minimizing financial loss and securing your hard-earned wealth. Precious metals bullion ventures are on the rise and this translates to a higher demand for secure storage facilities. Protecting your investment is crucial, especially since theft is rampant. The value of gold, silver, platinum, and palladium appreciates through time, and many people are catching on. The surging price of precious metals makes them an attractive target for break-ins, illegal trade and fraudulent exchanges. Meanwhile, poor handling of bullion can lead to dents, scratches and breakages. These flaws will reduce the worth of your investment. Choosing the right storage will give you peace of mind. One of the safest and most preferred arrangements is turning over precious metals to a depository for safekeeping and management. Delaware Depository showcases bullion processing, custody, and distribution services at very competitive prices and with tax advantages. Assets are stored in a location where political, financial and natural catastrophes are uncommon. With advanced vaulting and warehousing systems, round-the-clock monitoring and video recording, insured armored car shipping, and all-risk insurance coverage worth $1 billion, it is one of the most secure and prominent precious metals depositories. Delaware Depository has a direct staff access policy to ensure high-quality customer service at all times. Clients enjoy segregated or non-segregated storage accounts that undergo modern inventory control and reporting. Brink’s Global Services is one of the leading bullion storage facilities when it comes to risk management and secure transportation. It operates an integrated software system that can track, manage and check inventory in company-owned vaults worldwide. Precious metals are transported in armored vehicles and guarded by armed messengers. To protect its clients and their assets, the company takes full liability for all its shipments. Brink’s Global Services has a strong professional network, which keeps it up to date on changes in markets and customs regulations. Clients have access to different types of storage accounts, in-house consultancy services, trade show services and customs clearing assistance. Entrusting your bullion to a storage facility is a move that requires serious deliberation. The location of the depository will influence pricing, taxation and ease of access to your investment. One of the basic factors to consider is the vaulting system. Allocated or segregated storage means that your precious metals will be kept in a separate vault and will not be mingled with other clients’ bullion. Unallocated storage means that your precious metals will be kept in the same storage where other clients’ assets are held. Take into account logistics strategy and security measures throughout custody and distribution. Remember that while hauling off your tangible assets to a depository protects them from theft and physical damages, it does not eliminate such risks. Choose a bullion storage facility that values accountability and has a proper insurance scheme in place. If you need a precious metals IRA custodian to establish an account or for a rollover, we recommend Advantage Gold, which uses Brink’s Global Services as their depository. 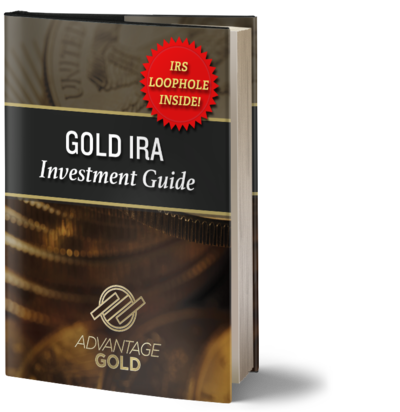 If you would like to learn more about the company, we have written a comprehensive review of Advantage Gold here.